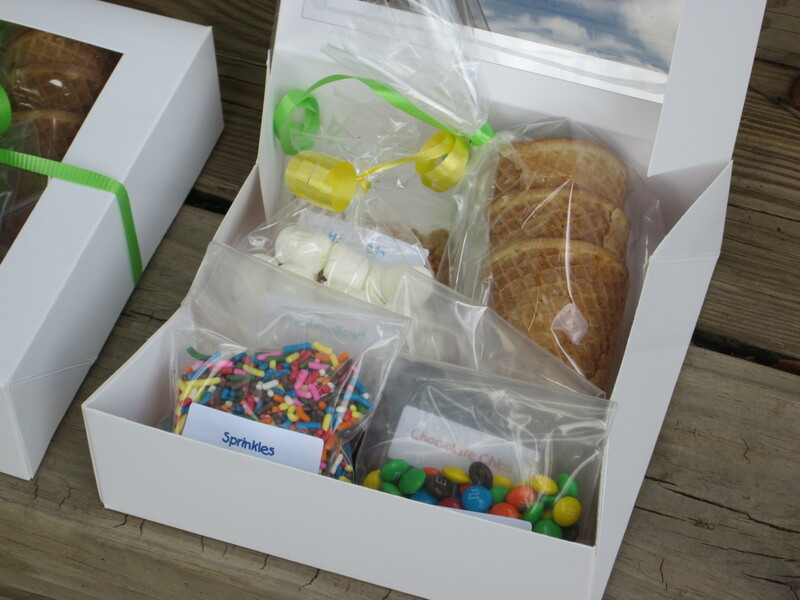 If you need a lot of teacher gifts but don’t want to spend too much money, you can put together ice cream sundae kits. My son and I needed about a dozen sirsees or little surprise gifts for the special area teachers, classroom teacher, school receptionist, etc. We purchased small cake boxes, curly ribbon, cardstock paper, clear bags, and small ziploc jewelry bags at Michael’s. We then bought sugar cones, fun ice cream toppings, and ink jet return address labels at Walmart/grocery store. 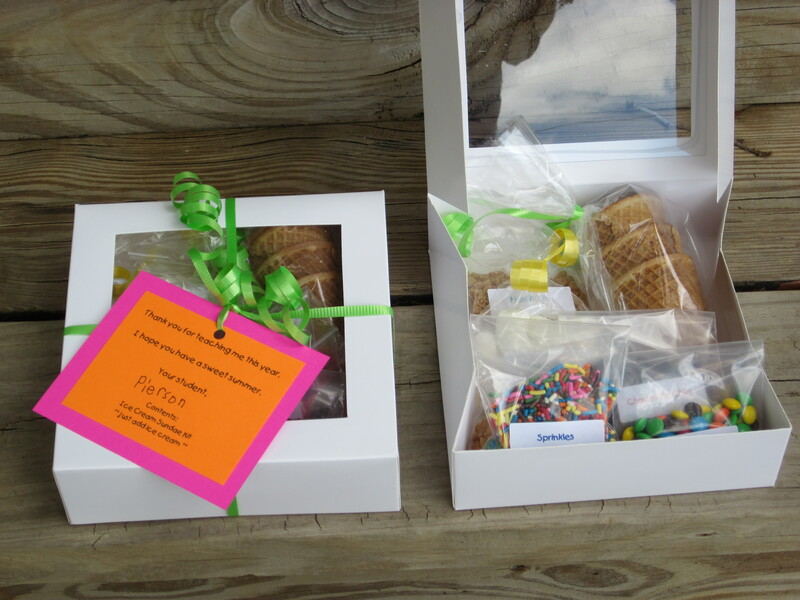 At home, we printed the labels, printed the cards to tie on the top of the box, and filled bags. Everyone loved this little gift. The insulated cup with gift card worked well too (https://the-room-mom.com/insulated-drink-cup/). Thanks for reading!